You'll be £25.00 closer to your next £10.00 credit when you purchase Hitler’s Atrocities against Allied PoWs. What's this? Seventy years ago, the Nuremberg Trials were in full swing in Germany. In the dock were the leaders of the Nazi regime and most eventually received their just desserts. But what happened to the other war criminals? 'At the outbreak of the Second World War, the treatment of prisoners was governed by the Geneva Prisoner of War Convention of 1929, the Preamble of which stated that the aim of the signatories was to alleviate the conditions of prisoners of war. Tens of thousands of Allied prisoners of war died at the hands of the Nazis and their Italian allies. This book is for them – lest we forget. 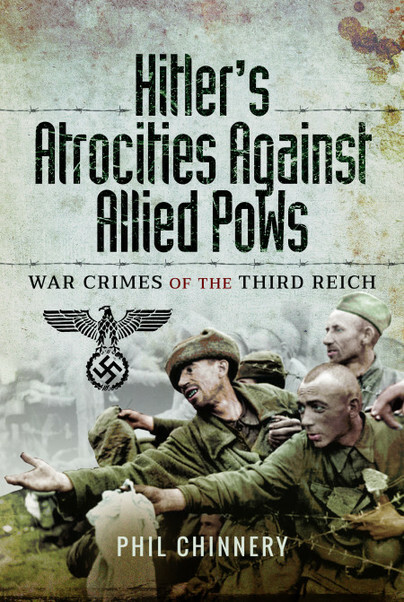 This is a sobering and harrowing book, detailing many forgotten crimes committed against POWs who should have been offered the protection of the Geneva Convention, but tragically were not.